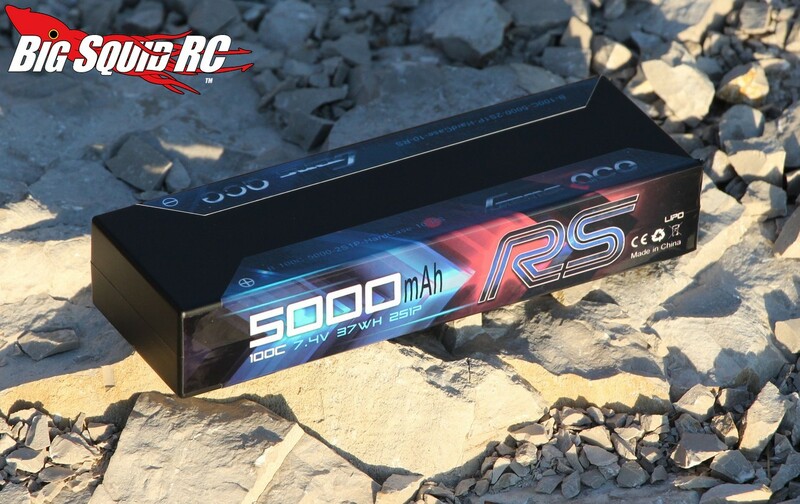 Review – Gens Ace 2S 5000mAh HardCase 100C LiPo Battery « Big Squid RC – RC Car and Truck News, Reviews, Videos, and More! Remember Gens Ace batteries? Yes, that is the same company that won not one, but two, of our LiPo battery shootouts back in the day. Now days, they are cranking out batteries of all shapes and sizes to help keep your truck running as fast as it can. Set-Up Notes: We used the Gens Ace in a variety of vehicles to check out its power. 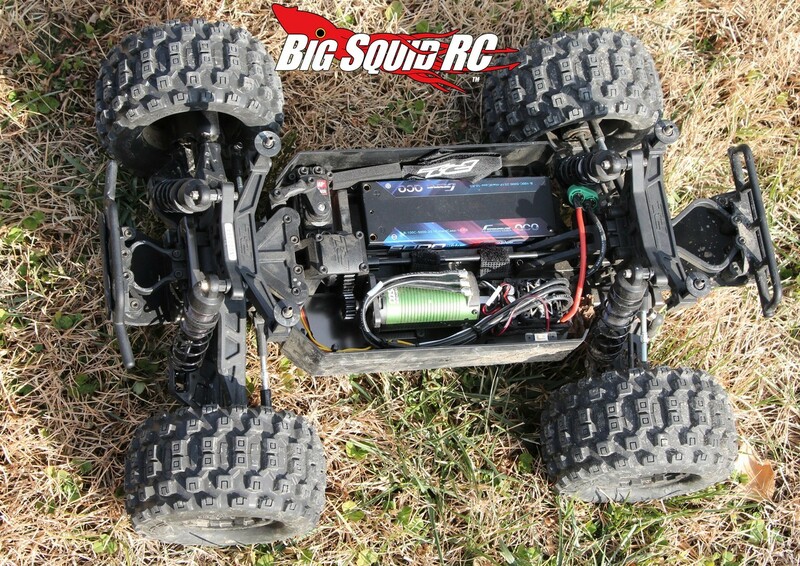 The trucks used included an RC4WD Marlin Crawlers Edition TF2 RTR, a Pro-Line PRO-MT 4×4, and a Losi SCTE. Fit: The Gens Ace uses a standard sized case. This allows it to be used in a plethora of different bash oriented vehicles. As far as fit goes, we didn’t have an issue with the pack’s form factor. It fit excellent in all three of the trucks that we used it in. 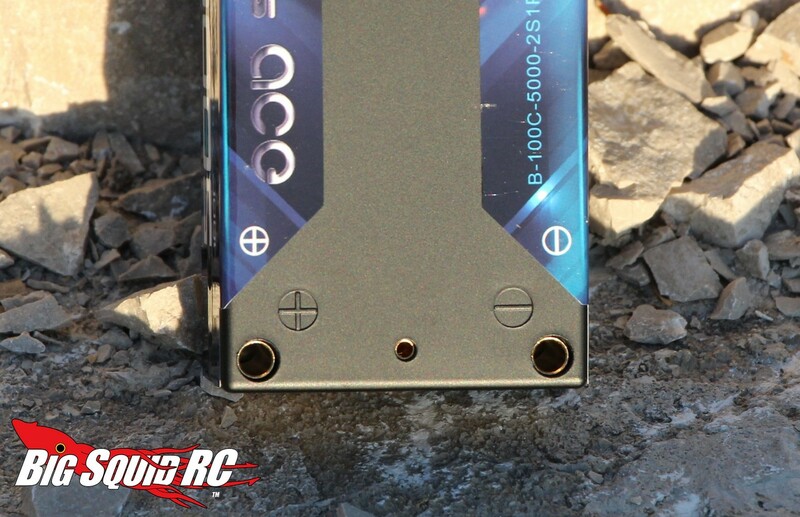 Because the Gens Ace uses bullet connectors at the case, that can cause issues in some tighter installs where height is limited (because of how the bullets stand up), otherwise, if your truck has a standard sized battery tray, you shouldn’t have any issues. Power: Ya, this is what most people care about when looking at a battery pack. The Gens Ace we got for testing was a “normal” LiPo, meaning it was not a LiHV design. 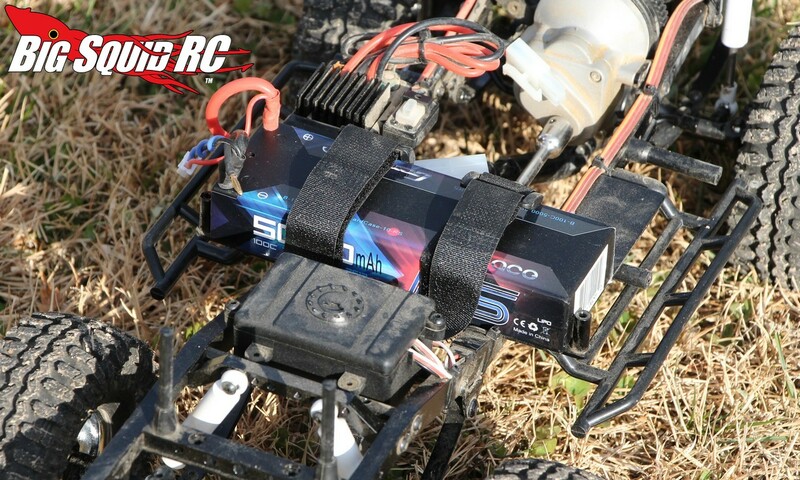 Its maximum voltage is set at 8.4 volts, just like every standard LiPo. The heaviest load that we put on the Gens Ace was when using it in our Pro-Line PRO-MT 4×4. The Pro-Line is a 4wd monster truck, which means it sports a whole lot more rotating mass than something like a 2wd buggy or touring car. 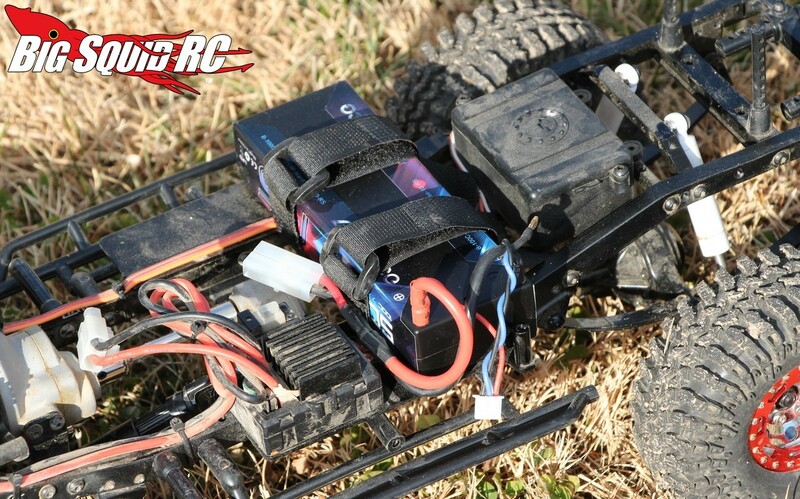 When using the Gens Ace in our Pro-Line truck we noticed that we had some Serious power on tap. From a dead stop the Gens Ace provided some pretty spectacular torque (can you say wheelie monster?) and it kept on pulling like a beast until the motor ran out of gearing. Later we went on to use the pack in our SCTE and TF2. The Trail Finder 2 draws very little current, but we appreciated the pack’s solid power and runtime. In our SCTE, the Gens Ace also did a fantastic job of trying to blow all four tires off the rims. We were not able to compare the Gens Ace directly with a brand new pack from another company. However, from memory we could just tell that the Gens Ace was certainly at no loss for yank. Runtime: We measured capacity on our test pack at 5088mAh (on a 1C charge/discharge), which is a good thing. Too much over, or under, either means poor quality control or marketing shenanigans, thankfully the Gens was fairly close to spot on. While driving, we received good runtimes with the pack. We saw around 18 minutes on our Castle powered SCTE, which is right where it should be compared to other packs we’ve driven it with. Durability: Yes, we put the Gens Ace through our normal testing. It withstood several roof jumps, multiple hard slams, plus plenty of water action when we used it in our TF2. At the end of the review, the Gens Ace was still working fine, we experienced no issues of any type. Also, we are nearing 50 cycles on our test pack and it still puts out plenty of voltage while under a load, just like a good pack should. Final Verdict: From our testing, it looks like Gens Ace has not lost a step from the days when they were winning our LiPo battery shootouts. 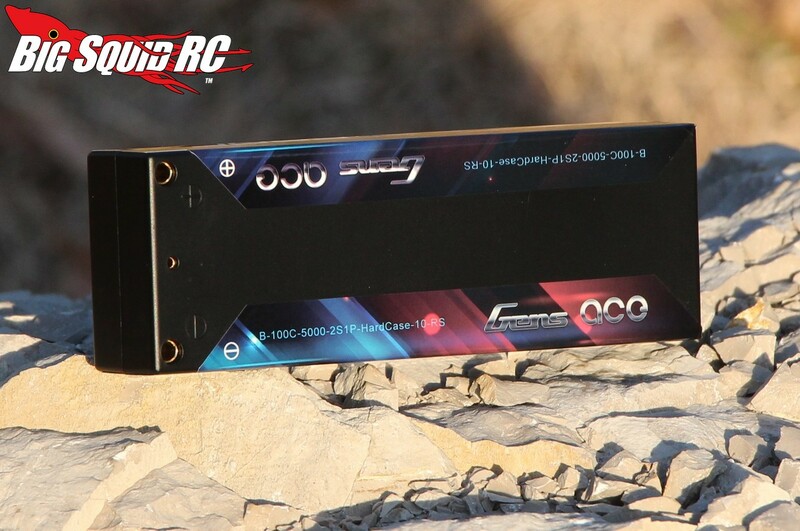 We found the 100C Gens Ace 2S 5000 to be a solid battery pack. It put out great power, it had solid runtime, and it put up with our abuse without venting internally or dying. 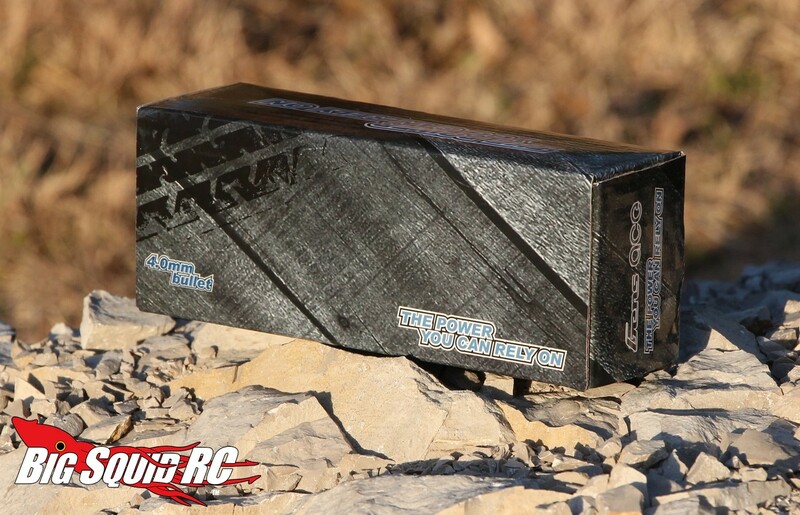 If you are in the market for a great quality, yet affordable, 2S LiPo, we think it is well worth your time to try out the Gens Ace.